Students will conduct a bioassay demonstrating the toxic effects of copper sulfate (a common algaecide) on a population of Daphnia. They will feed the Daphnia a fluorescently-tagged sugar after exposing them to various concentrations of copper sulfate. 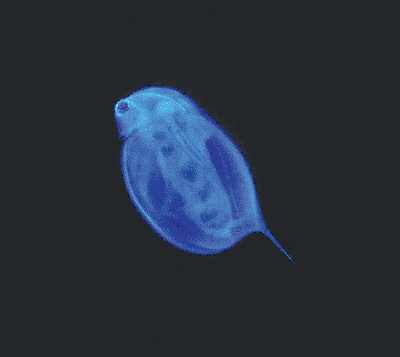 Only the healthy Daphnia will glow under long-wave UV light. Students will then pool their data to predict the lethal concentration necessary to cause 50% mortality and arrive at an overall LC50 value for the entire class. Students will employ fundamental frameework concepts of Matter and Its Interaction (PS1) and Earth and Human Activity (ESS3) while completing this lab activity. This kit has been aligned with all published National Standards. Pre- and Post-laboratory assessments and vocabulary words all target specific Science and Engineering Practices and common core standards. The teacher guide also contains specific "Did You Know" concepts that link the real world with the scientific standards explored. Materials are included for 15 setups. 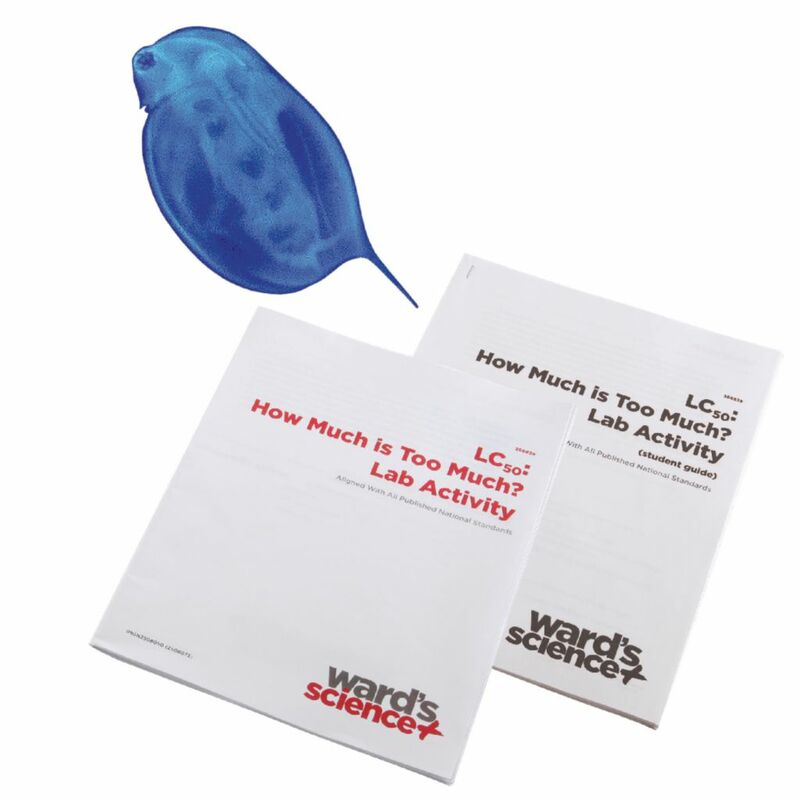 This lab activity takes approximately 45 minutes to complete.